After around 12 years of loyal, if sometimes temperamental service my Brother 1034D has finally called it a day. That machine certainly earned it's keep, sewing hundreds of cloth nappies back in the days I was running a cloth nappy business, (Good old Tiddlybums. ), and stitching countless other items over the years. I only paid £150 for it back then, so that works out at a fraction of a penny per item. It went out with a bang and a crunch, and now nothing is working. Sadly it's barely worth repair costs, and so here I am in project , "fund new overlocker". My faithful old overlocker will no doubt be making it to Ebay to sell for parts (wow! that sounds cruel doesn't it? 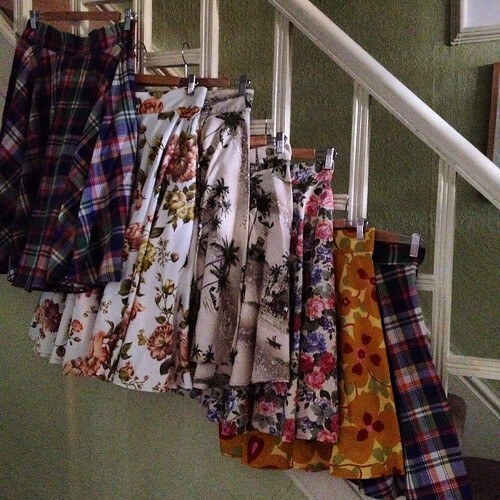 ), and I've been stashbusting, running up skirts for my Etsy shop with dreams of a shiny new overlocker. 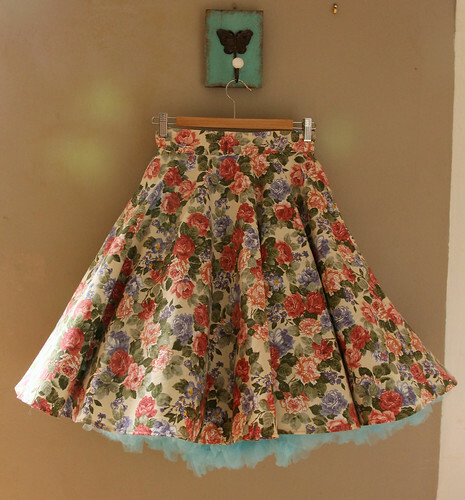 I love a circle skirt for glamming up my everyday. On a rainy dull Manchester morning when I have one eager child running ahead to school and one dragging his heels behind, I take solace in the swish of fabric . When you've been mumming as long as I have a pretty skirt and a slick of lipstick can go a surprisingly long way to improving my day. Add a petticoat and I'm in heaven ! Of course, I've kept one skirt for me too. Cybele, I would LOVE a Babylock, but way out of my price range. I'm trying not to look too much until I know how much I can spend, but I'm thinking Bernina possibly. 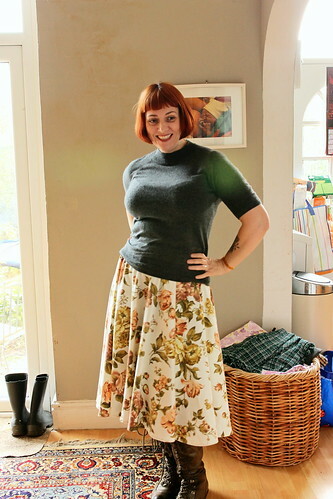 I've been in circle skirt heaven lately, too. I especially like the flower fabric in that first pic - mind if I ask where you got it? Bummer :( I bet you'll have that shiny new overlocker fund all topped up in no time! 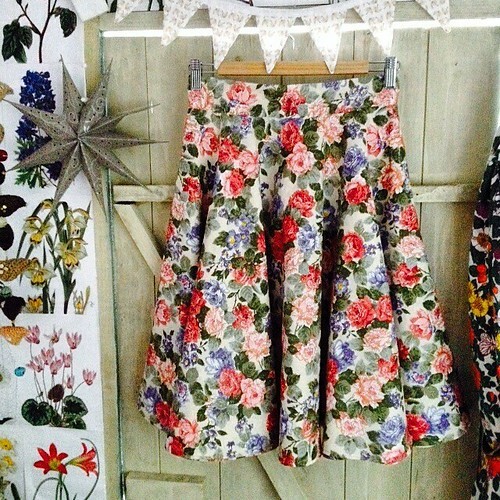 Love the skirts especially the floral one. I have a pfaff overlocker and ts been ok!